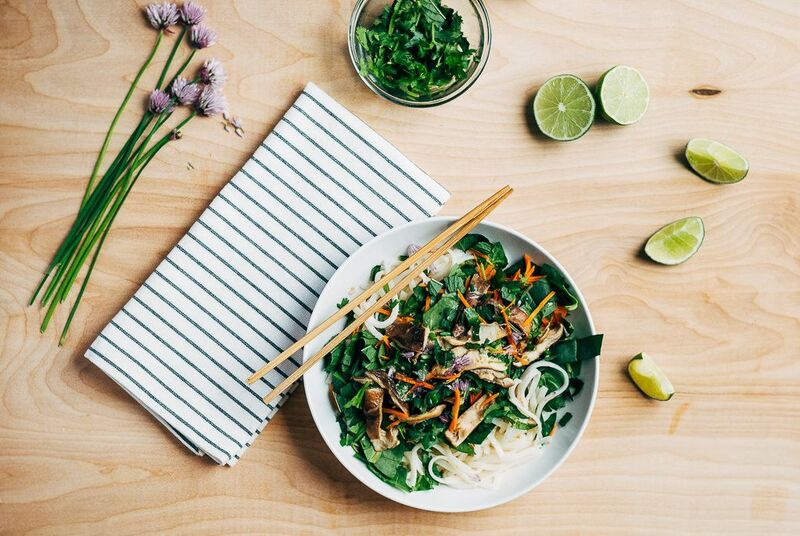 Today: A fresh, multi-flavored noodle recipe that will show off the season's prettiest produce. As a gardener, I'm solidly in the learning phase. This year, I planted with the modest goal of avoiding the heartbreaks of years past. Part of the plan was getting the most from the cooler months by letting spinach, collards, kale, and cauliflower give way to tomatoes, peppers, and watermelon at just the right time. Nothing about gardening has been "just right" so far, but I'm an optimist anyway. Still, when the spinach actually came up as planned and even thrived, I was a little surprised. And delighted. Tender young spinach isn't the most hyped spring ingredient, but I believe in embracing each spring green at its peak. There are so many greens in their gorgeously oversaturated emerald hues right now that it'd be crazy not to give each its due. So I cobbled together a fresh, multi-flavored noodle recipe highlighting peak spinach (can I make that a thing?) 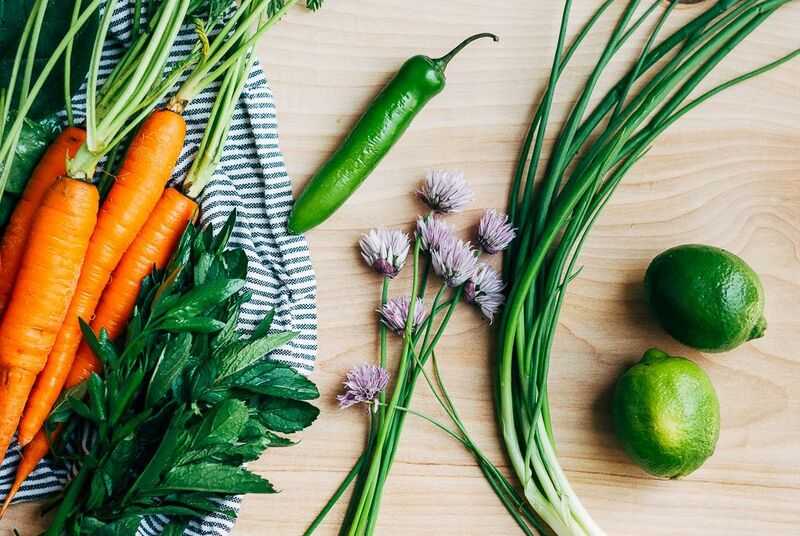 and a few more ingredients that are just right right now, like young carrots, green onions, mint, and cilantro. As a bonus, this versatile recipe will get your pantry in shape for the season ahead by forcing you to stock up on staples that will help transform summer produce into quick, simple meals. Start with a good fish sauce; I like Red Boat, but no matter what kind you choose, make sure good, clean fish flavor is the star. A fresh jar of tahini is also going to come in handy for making summer salads, as will an arsenal of grains, rices, and noodles. Rice noodles that you can make using the boil and steep method are essential for avoiding steamy kitchens. More: Our favorite ways to use fish sauce and our favorite ways to use tahini. 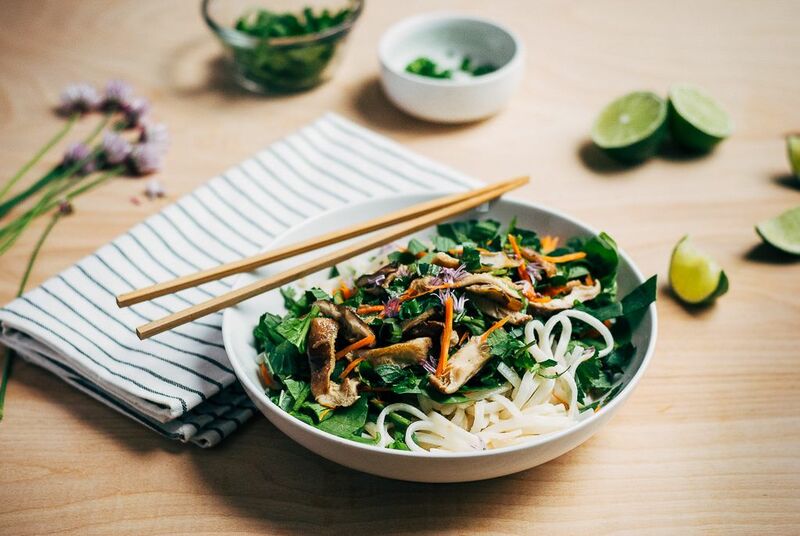 My recipe plays on the flavors of cold Vietnamese-style rice noodles, but it takes plenty of liberties. I add tahini to a fairly traditional nuoc cham and I take a whatever-I-have-on-hand approach to chiles. For my version, I use a serrano, but the basic principles of a sweet and sour sauce, cold noodles, chopped greens, and handfuls of herbs are well suited to the chiles you can find, to the moment, and to the delicious months to come. Fabulous! Just a few tweaks to the stirfry dictated by contents of vegetable drawer and the addition of shrimp (who can resist?). The dressing is completely divine! I am definitely looking forward to trying more of Ms. Stark's recipes. Thank you. This is the first thing I'm going to make when I can finally cook in my new apartment!